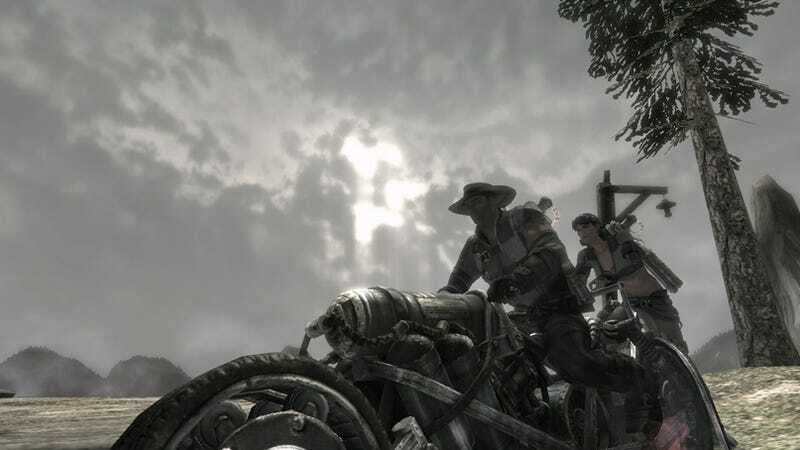 Codemasters has released 10 new screenshots of their upcoming alternate-history shooter Damnation, serving up a heapin' helping of that Western steampunk style. Yes, Damnation is indeed set in a steampunk world, even if the women aren't wandering around in frilly dresses and the men don't all wear top hats with monocles. There are other steampunk settings outside of Victorian-era England, so while Damnation might not fall into the most popular of these settings, Western steampunk is still considered steampunk. Just ask Will Smith.